Submitted by witness on Friday, March 2, 2012. LOCATION DETAILS: Take Hwy 1 from Anaconda to Georgertown. Take 242 up to Racetrack Lake. OBSERVED: I was out looking for old abandoned gold mines outside of Georgetown Lake in Montana to do some prospecting in the summer of 2010. Around 4 pm as I was traveling back down logging road 242 north of Georgetown Lake in my FJ Cruiser. A rock came flying through the trees from my right and hit my cruiser's roof top leaving a sizable dent in the roof. I saw the rock as it bounced off the roof and fly down the hillside. 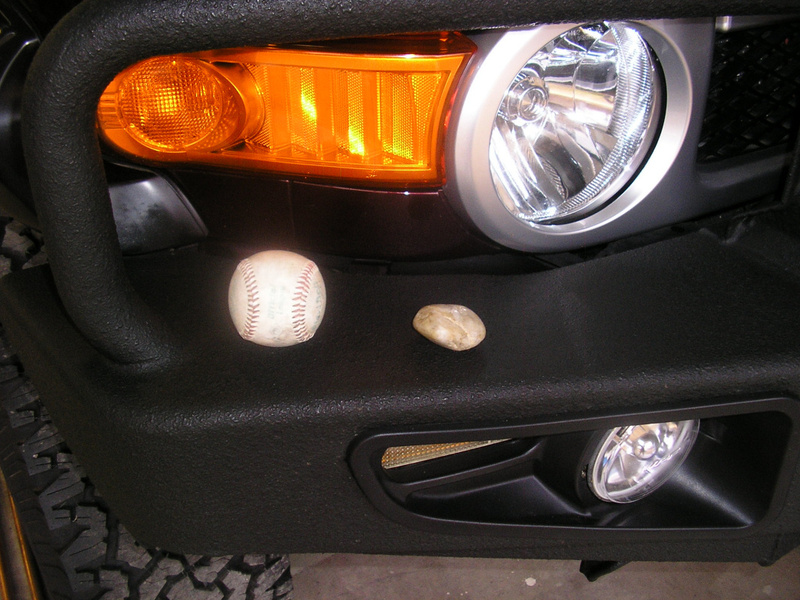 I immediately stopped thinking some kid or person threw a rock at my truck. As I jumped out of my truck to see who or what threw the rock from up the hillside a large dark creature disappeared up the hill and into the trees. I thought to myself "No way, It couldn't be". 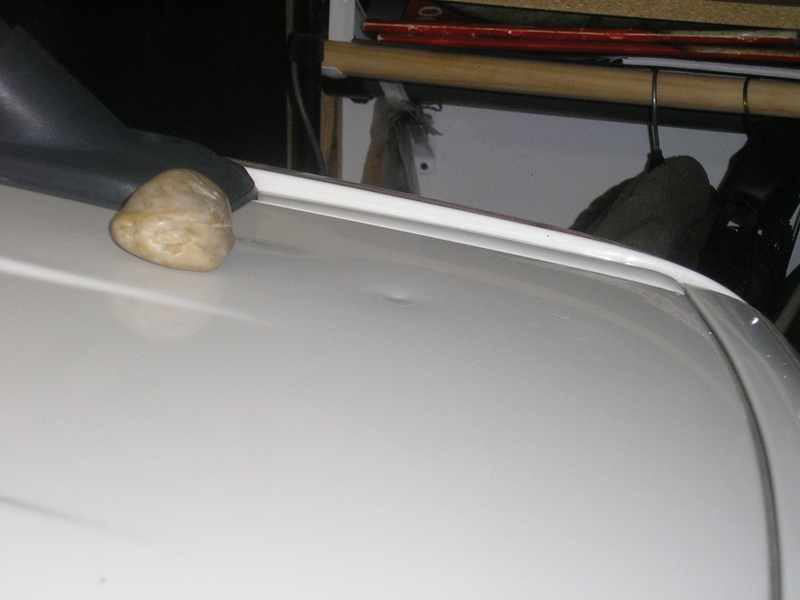 But I have the dented roof to prove that what I believe to be a Bigfoot threw the rock. OTHER STORIES: Not to my knowledge. This gentleman drove to the mines taking the same dirt road up and back, leaving around 10 AM and returning around 4PM. He said he was crawling thru the mines, digging too. Spent the day exploring. Driving about 10 mph, he was about 1 1/2 miles from the mines when the rock bounced off and he saw it land next to the truck. It struck his truck hard, denting it. Angry and thinking some kids were “messing with him,” he stopped the truck and got out. He noticed it was unusually quiet. Seeing a dark shadow moving in the woods which he thought was the rock thrower, he went into the woods to confront them. He walked about 100 yards into the woods and saw nothing – no people, tracks or even animals. He is an avid hunter and the unusual quiet gave him a “creepy feeling". He realized that the rock thrower wasn’t a kid “messing with him". The area is part of Lost Creek State Park.